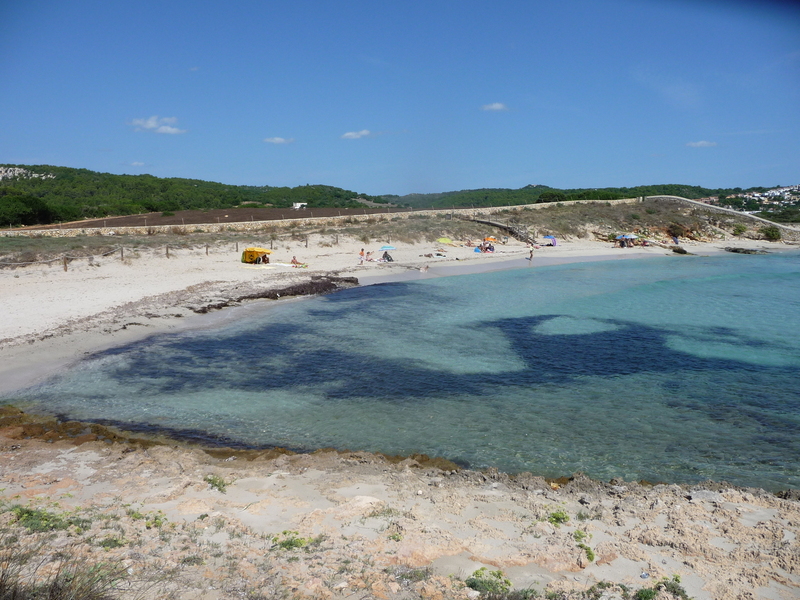 Due to the orientation and the shape of the beach, Cala Talis is very exposed to the south wind. 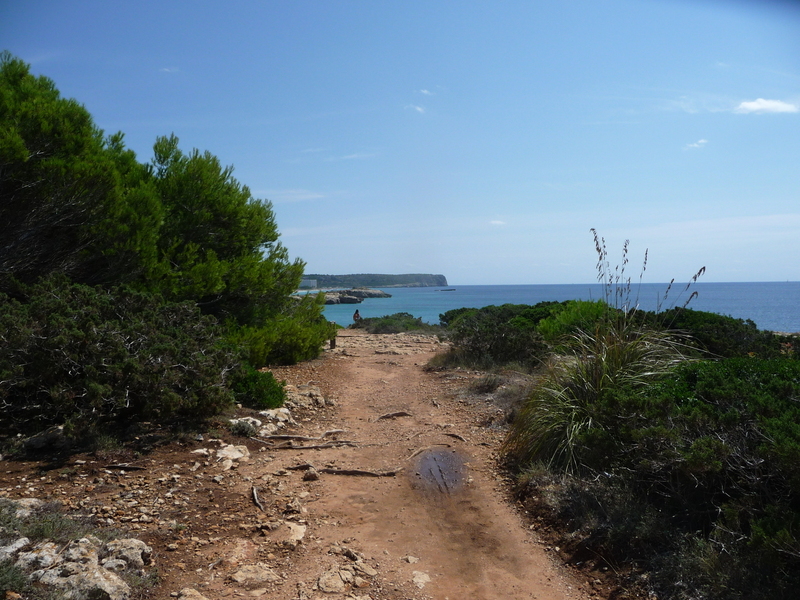 If you want to go to Talis, try not to go when the south wind blows, otherwise you can find heavy swell and water flow. 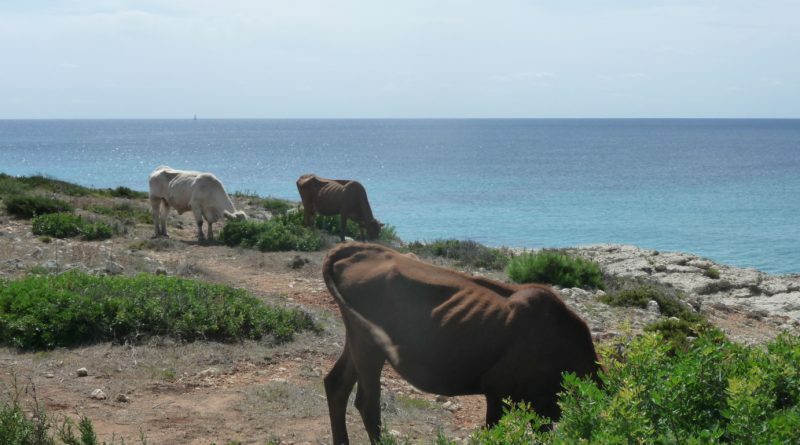 You can only reach Talis by walking or by boat. 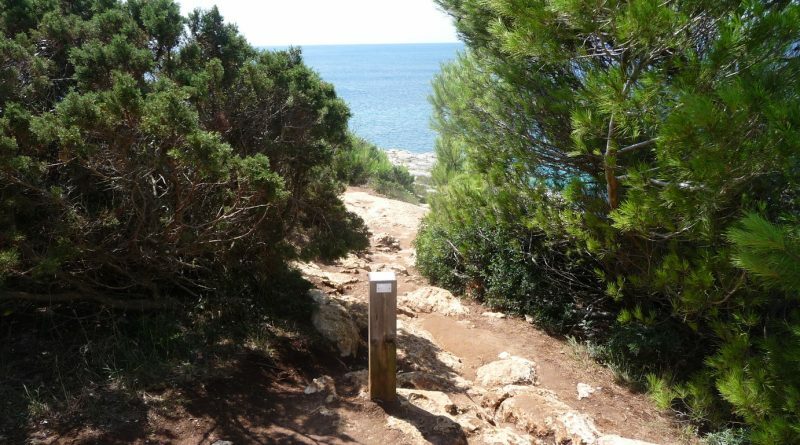 If you go walking, you will have to leave the car in one of the parkings that you can find in Santo Tomás or in Son Bou. 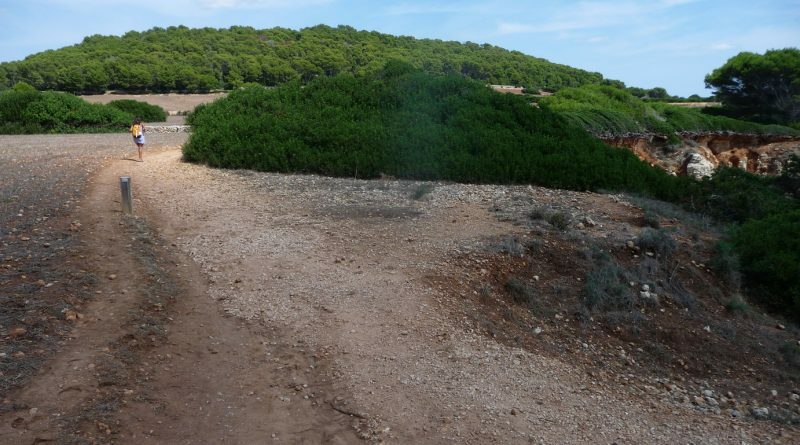 From Santo Tomás you will have to walk for 25 minutes (1.5km) along the Camí de Cavalls. 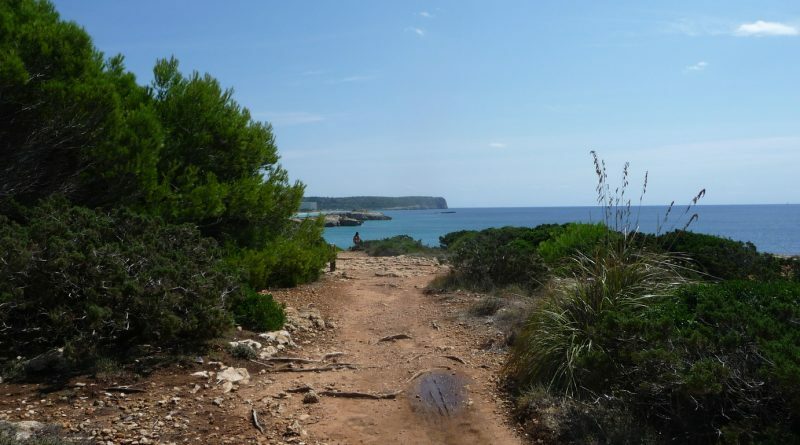 From Son Bou you will have to walk for 40 minutes (2.5km) along the Camí de Cavalls, that goes through the Son Bou beach. 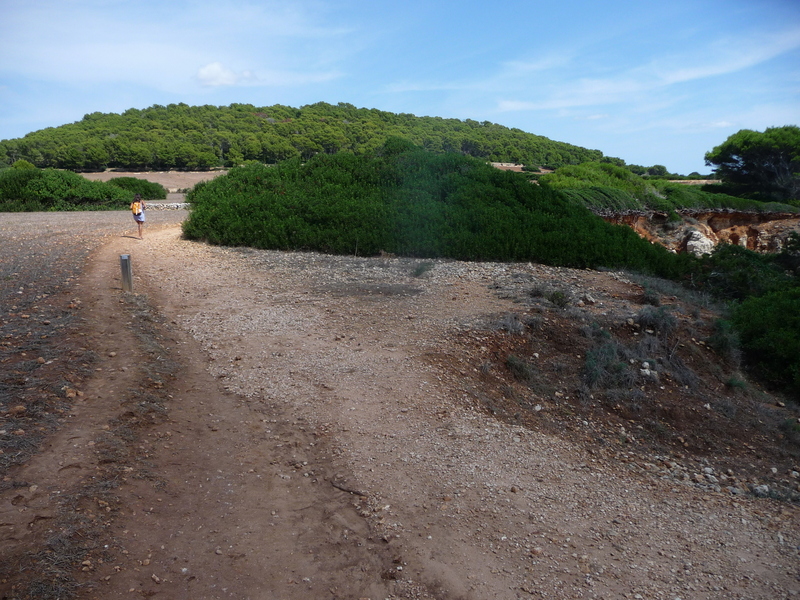 The access to the Camí de Cavalls (Horse Path) from Santo Tomás is in the left side of the beach (facing the sea), and it’s very well indicated. 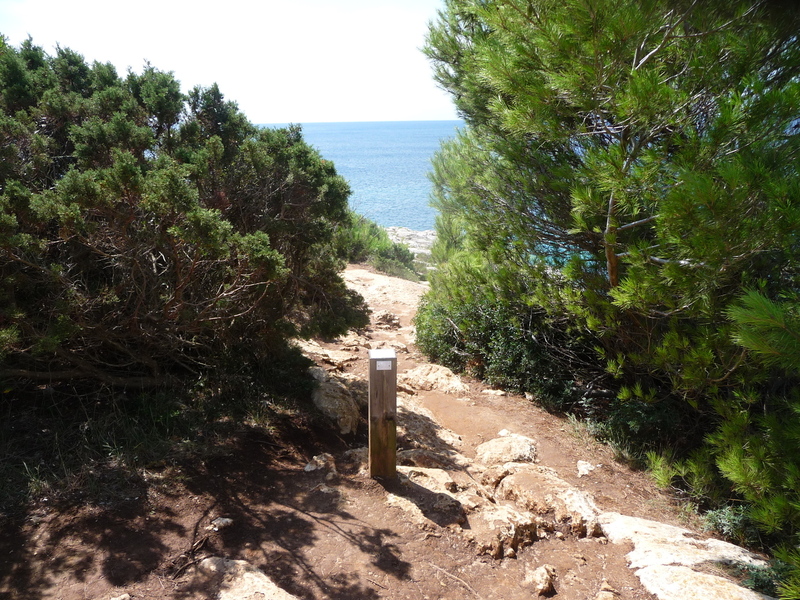 If you are going from Son Bou, you just have to go to the right (facing the sea) until the beach of Son Bou finishes and Talis beach starts (they are divided by a small wall). 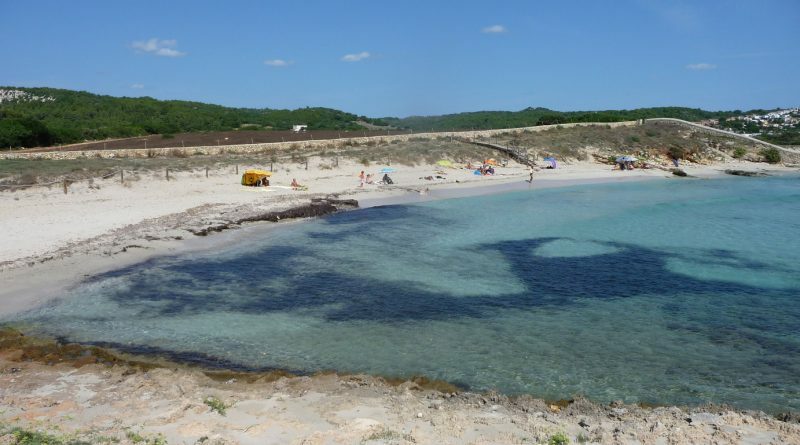 Talis is a beach that doesn’t have available services, safeguard or showers. 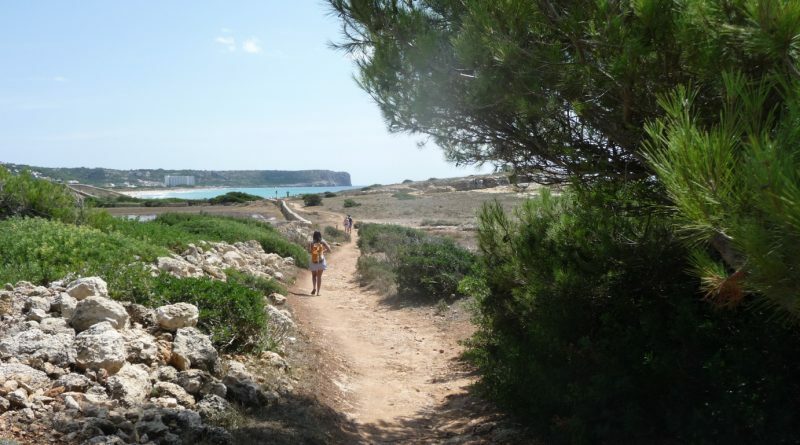 Its main incentive is that the beach is located between two turistic areas and it’s in the Camí de Cavalls, that’s why hikers often stop at the beach to have some rest. That means that as well as practicing snorkel (although there is not much to see), if you arrived to the beach through the Camí de Cavalls, you have the option to end the excursion eating in a beach bar. 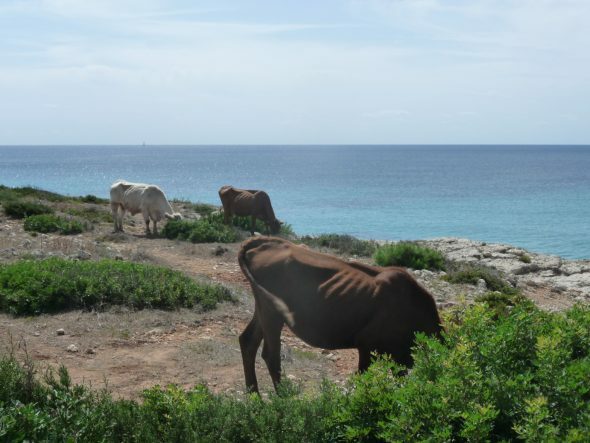 My favourite plan is to leave the car in the parking of Santo Tomás, go to Talis, and in the way back, eat in the beach bars of Santo Tomás. 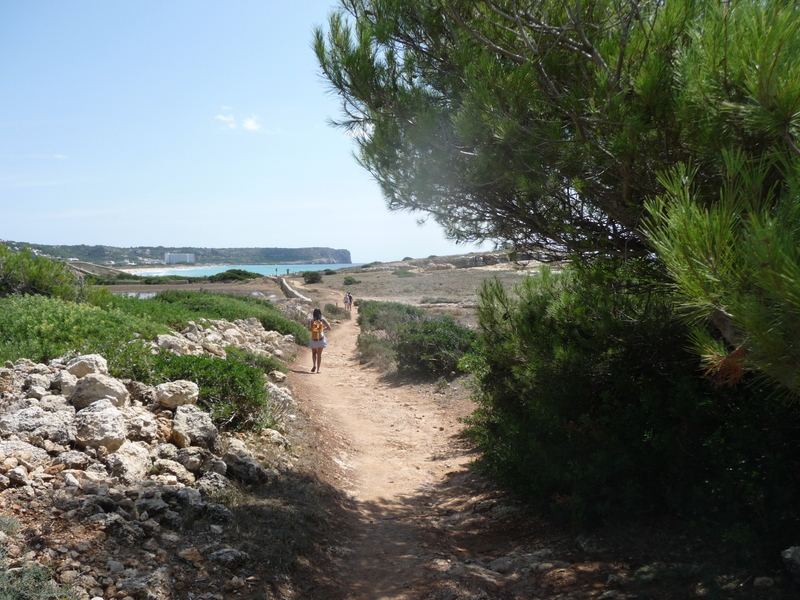 After having lunch, you can go to Binigaus, and if you are in a good mood and willing to go for a walk, you can try going to Escorxada. Menorca is a small island and it’s easy to move around with public transportation. 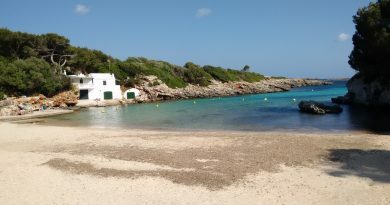 The public bus line communicates pretty well both the two main villages (Maó and Ciutadella) and the most turistic areas of the island. 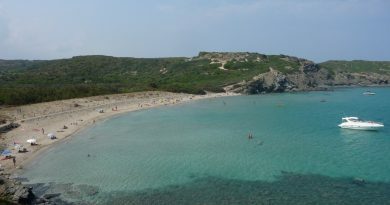 The beach is very small, and it has a shape of U which means that it’s well protected against the waves. 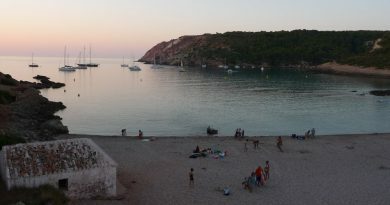 On the left side of the cala there is a small artificial ramp through which boats can get in and out of the water.